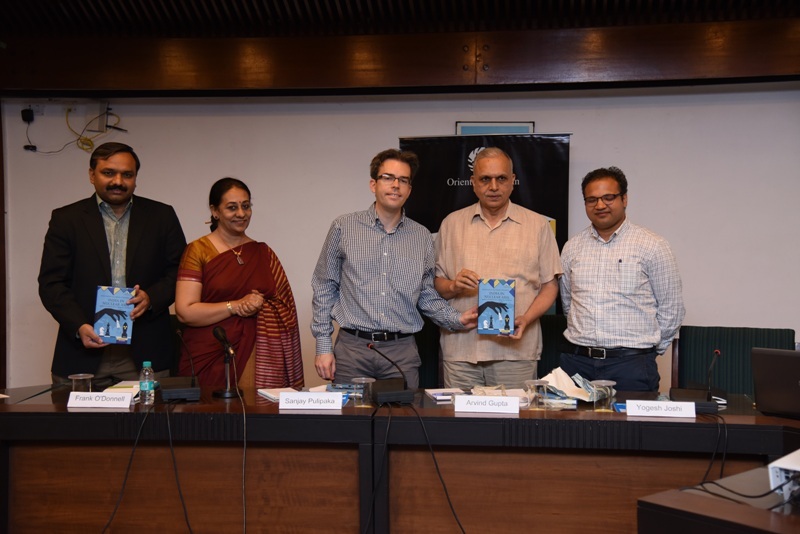 Orient BlackSwan India’s leading publishing house has launched a new book titled, India in Nuclear Asia- Evolution of Regional Forces, Perceptions, and Policies. The authors of the book are Yogesh Joshi who is a MacArthur Nuclear Security Postdoctoral Fellow at the Center for International Security and Cooperation, Stanford University and Frank O’Donnell, who is a Stanton Junior Faculty Fellow in the Belfer Center for Science and International Affairs at Harvard University. This book is the culmination of a multi-year collaborative research project, also yielding a shorter monograph and several peer-reviewed articles and policy briefs. On releasing the book Yogesh Joshi said, “India has come a long way from being a nuclear pariah to a de facto nuclear weapon state. The need now is to see that India maintains a credible nuclear deterrent while avoiding dangers of accidental and inadvertent escalation. Frank O’Donnell said, “Twenty years after India became a nuclear weapon state, it’s nuclear capabilities have seen tremendous improvement. However, how this technological force development informs its national security strategy has not been adequately addressed. An official defence review, which integrated its nuclear and conventional strategies is therefore necessary. This book explores technical advancements in the Indian nuclear force, the nuclear doctrinal evolution and force development of Pakistan and China, the history and present contours of Indian nuclear thought and India’s approach to global-non proliferation policy. India in Nuclear Asia also examines the unique development of India as a nuclear weapons state, since it conducted a series of nuclear tests in 1998. When India’s first nuclear doctrine was declared in 1999, revised in 2003, the Indian government portrayed an image of a responsible and restrained nuclear power. However, the contemporary picture of India in the nuclear field is beginning to differ from these initial expectations. What explains India’s evolving nuclear posture? How is this technological drive complicating the questions of regional and global security? Addressing these and other issues, India in Nuclear Asia analyses the unique development history of India’s nuclear force and its role within the larger nuclear order. It provides an overview of the Indian nuclear force as it stands in 2018; studies the implications that the nuclear postures of India’s two main adversaries, Pakistan and China, have on its nuclear strategy; and the formation of India’s nuclear doctrine and challenges it faces. The book also explores India’s relations with countries such as Iran, North Korea and Syria, and how these reveal India’s global non-proliferation policy approaches. The authors discuss key nuclear concepts such as ‘no-first-use’, ‘credible minimum deterrence’, ‘full spectrum deterrence’ and ‘minimum deterrence’ in the context of the emergence of the Arihant nuclear-armed submarine fleet and the Agni-V and prospective Agni-VI intercontinental-range missiles. The book states that for India to reorient these new elements of the nuclear force with its public diplomacy, significant reforms requiring greater public communication will be needed in its nuclear management. This book has also argued that Indian security would be furthermore well-served by conducting a public official defence review. India’s nuclear doctrine has not been updated since 2003, and its general defence policy and force development have never been subjected to a review process.